There's no substitute for knowledge in the field - Toadvine and Vine & Branch have both. 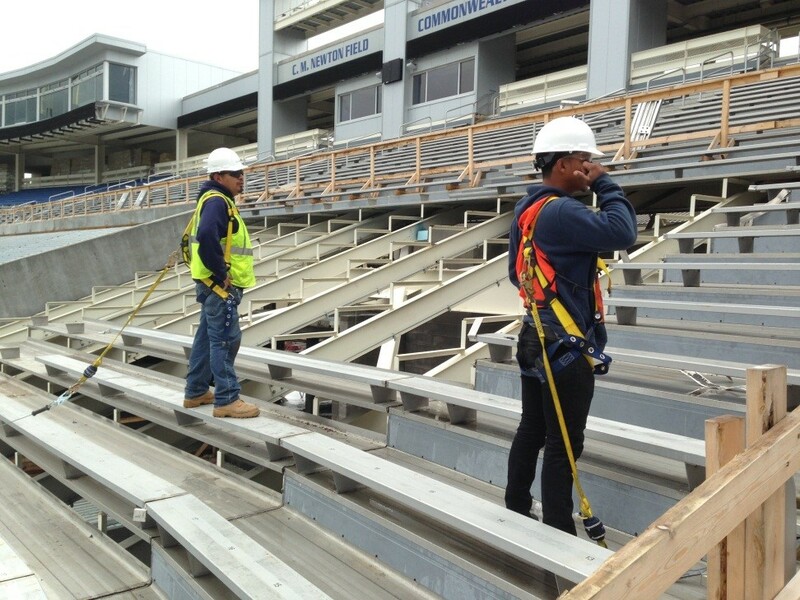 We service you with trained in-house professional bleacher installers experienced in projects of every size. Our foremen average more than 12 years of installation experience. The skill and versatility of our installation teams are evident in the precision work detailed on every outdoor seating project resulting in customer satisfaction. We strive to be the best in the industry and understand that very few installers are willing to go the extra mile to ensure everything fits the way that it should. Contact Matt Roberts at mroberts@toadvine.com or fill out the form for inquiries on installations of both new construction and bleacher renovation projects.